It looks like the answer is pretty clearly Durent. 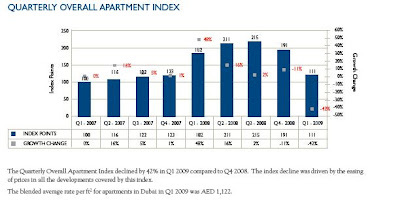 Dubai apartment prices fell 42% last quarter....and that's from Q4, not Q1 of last year. Ouch. Just about the only thing that Macro Man could find to match this performance was Icelandic equities. One wonder which is more liquid. Talking Holiday Homesick BluesHope the knee is on the mend so you can soon kick a ball with MacroSprog!